When you arrive at the craigslist dashboard for the first time, you're greeted with the "Manage craigslist budget" screen. From this pop up you are able to decide what budget you would like to set for your dealership. 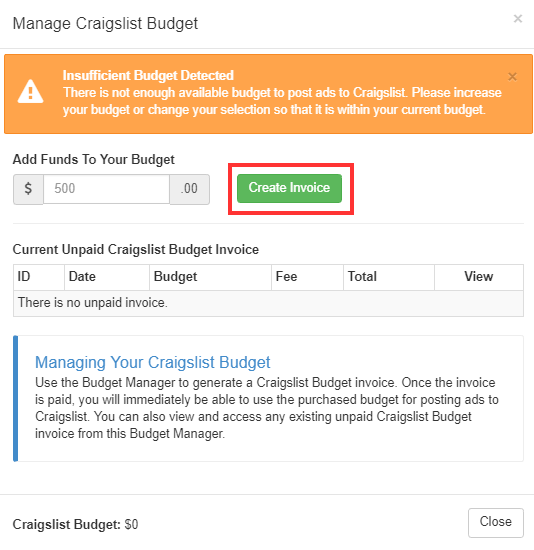 Once you've filled out the budget field click the "Create Invoice"
Once you've clicked "Create Invoice" you are redirected to the invoice you created, If you have a credit card on file, you will have the option to pay the invoice by clicking on the "Pay Now" button. From this page you also have the option to edit your payment profile. 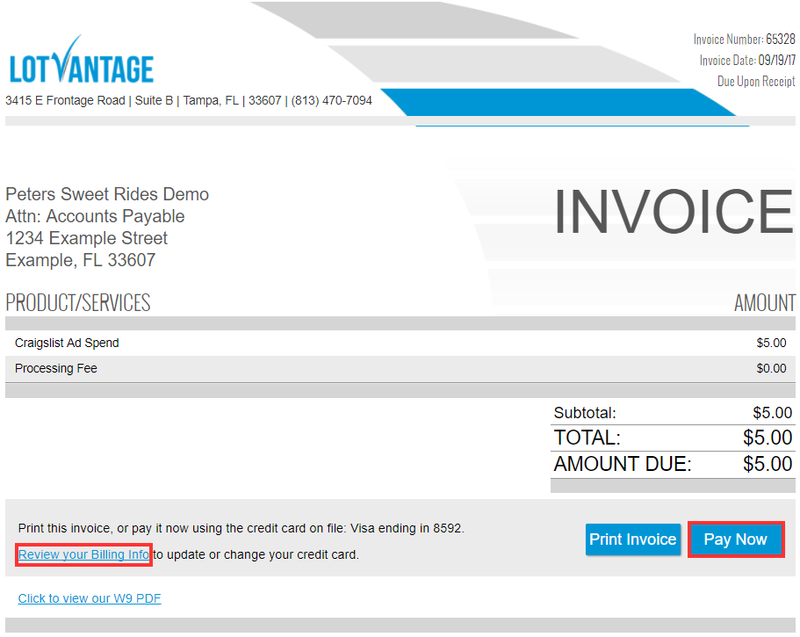 Once you've paid the invoice you can return to the dashboard and find the funds available for use.